The oldest documented naval hospital in Washington, DC was originally intended to care for soldiers injured during the Civil War, but the construction of the hospital was not completed until 1866 after the war was over. Following Robert E. Lee’s surrender at Appomattox, the hospital served veterans of the Civil and Spanish-American Wars. In 1911, the facility operated as home to a series of different service organizations, most notably the Temporary Home for Old Soldiers and Sailors. By 1998 was only used for occasional civic meetings. 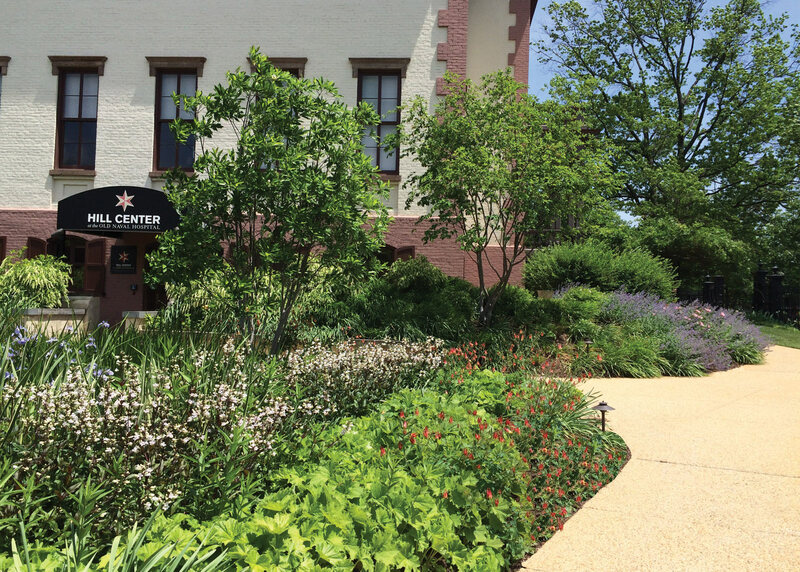 In 2000, a group of Capitol Hill residents began establishing multiple organizations whose missions were to revitalize the building and grounds, and re-dedicate the facility to public service. The Capitol Hill Restoration Society nominated the property to the National Trust for Historic Preservation‘s 2003 list of “11 Most Endangered Historic Places.” Following approval by the District of Columbia and a four-year renovation process, the complex re-opened in 2011 as The Hill Center at the Old Naval Hospital, an educational center and gathering place for residents. The Hill Center’s outdoor spaces blend with the history of the site and support a flexible and robust program. Plantings common during the Victorian Era ameliorate slopes, ground the building, and provide a distinct sense of place. Trees are strategically placed to provide shade and proportion for the space as older specimen trees die. 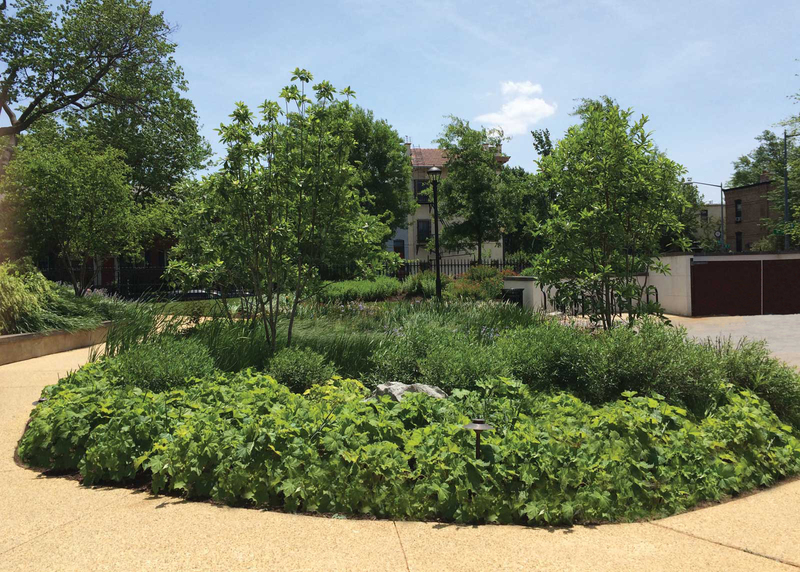 On the western side of the building, a rain garden integrates 21st-century stormwater strategies with the site’s historic context. The east lawn preserves the character of former parade grounds, providing flexible space for festivals and events. The summer house and flag pole remain in situ. 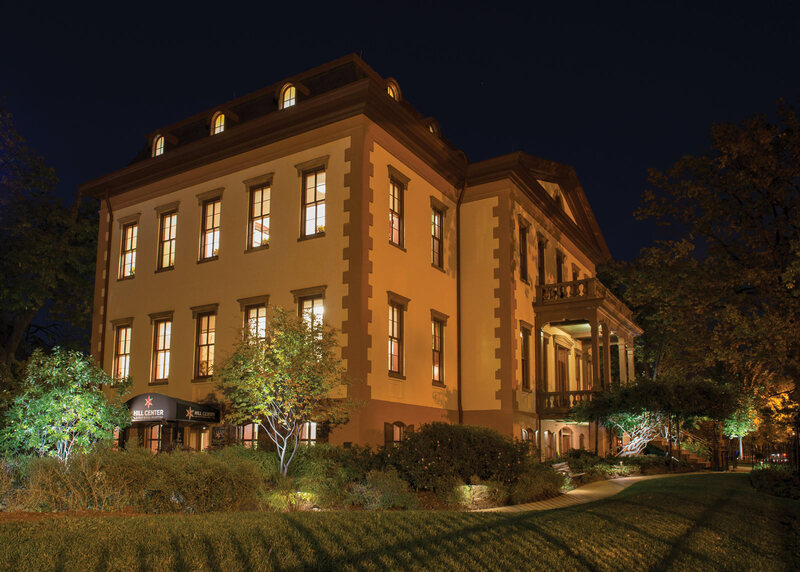 In 2012, DC Historic Preservation Office and the DC Preservation League recognized the project with the Award for Excellence in Historic Preservation. 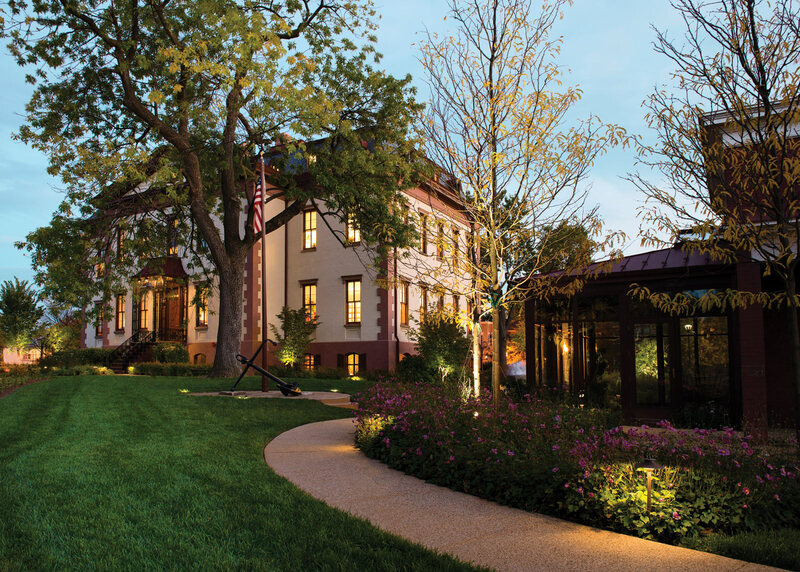 OvS, as part of the design team behind the café, Bayou Bakery, Coffee Bar & Eatery at the Hill Center, was named the recipient of the 2015 Award for Excellence in Historic Resources by the Washington, DC Chapter of the American Institute of Architects.